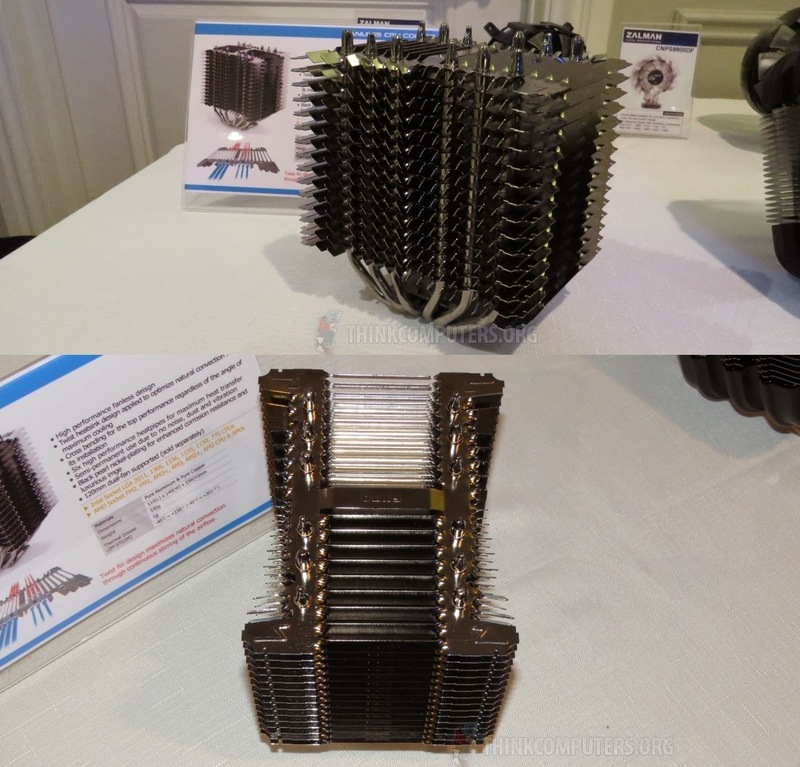 A sneak peek at Zalman's upcoming passive CPU cooler. 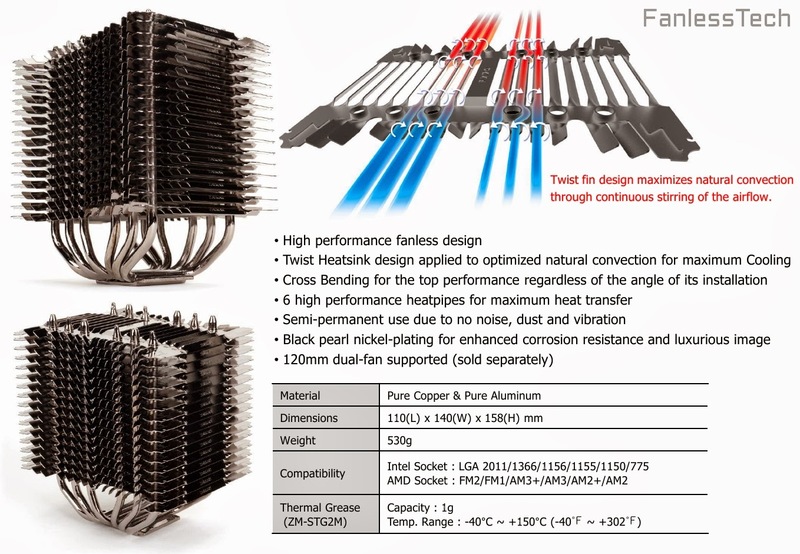 The relatively small heatsink only weights 530g and measures 110 x 140 x 158mm. More details coming soon. 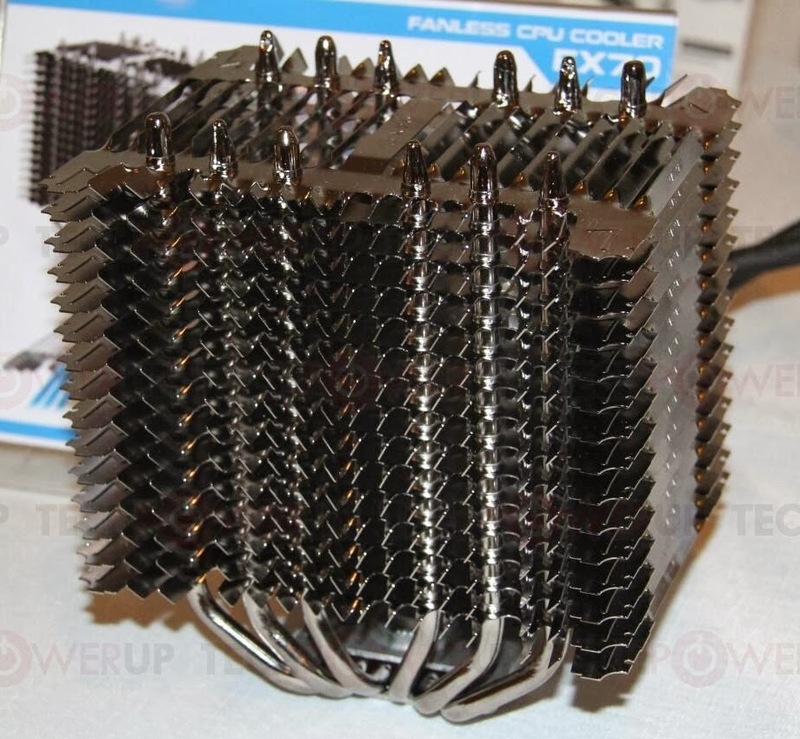 Update: A tentative price ($60-70) and a release date (Q1) at ThinkComputers. 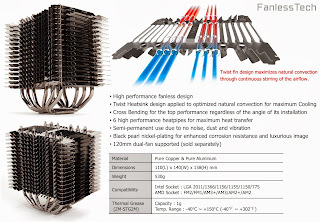 Update 2: More about Zalman's twist fin design.